it turns out the cake pie isn't a lie after all. 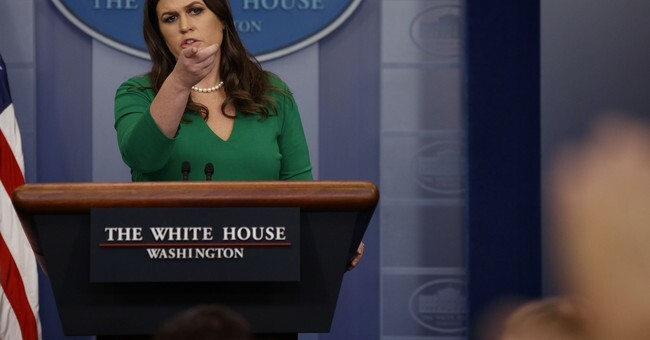 After being accused of using a stock photo of a pecan pie by journalist April Ryan (in what was dubbed "piegate" and likely resulted in Ryan not being invited to the White House Christmas party), Sanders proved once and for all that yes, she can actually bake. Pretty well, as it turns out. In case you missed it, here was the original exchange, where Ryan insisted that the pie Sanders tweeted was not made by her. In the spirit of Christmas, and for a White House Christmas potluck party, Sanders baked four pies for members of the press. In a thread of tweets, Sanders posted images of the process of baking the pies, being sure to tag Ryan in the tweets. But there's a happy ending: Ryan received one of the pies, and "Piegate" is now, finally, over.